Of the 3 million students identified as gifted in the U.S., English Language Learners are by far the most underrepresented. And nobody knows that better than 17-year-old Alejandra Galindo. "It's just kind of hard to not see people who look like me in my classes," she says. "I'm a minority in the gifted world." Alejandra is a senior at North Canyon High School in Phoenix. Before she was identified as gifted, she was identified as an English Language Learner, or ELL. You know, those kids who are often assigned to separate classrooms while they learn English. That was Alejandra. "She would cry and not want to go to school," says her mom, Norma Galindo. "She didn't want to be Hispanic. She didn't want to speak our language." Norma Galindo is originally from El Salvador. Her husband, Arnulfo, is from Mexico. They've always known their daughter was bright beyond her years. "I remember Alejandra coming to me and saying, 'Mom, I'm bored at school. Classes are so easy,' " says Norma Galindo. "And I said, 'You're not supposed to be bored at school. You need to be challenged.' So I talked to her teacher and asked, 'Can you do something for her?' "
Parents are usually the first ones to figure out that their child is gifted, but that message often doesn't get to the educators in schools. Many schools don't even test ELLs for giftedness, and most teachers aren't trained to identify those students. It doesn't have to be that way, says Alejandra. "I think it's just all about letting those kids know that [they] have just as much potential as any other kid," she says, "regardless of your skin color or where your parents came from or what language you speak." Alejandra was lucky. In fourth grade, a teacher singled her out and asked that she be tested. The results showed that her verbal reasoning skills were off the charts, a sign of giftedness not just in English but Spanish as well. 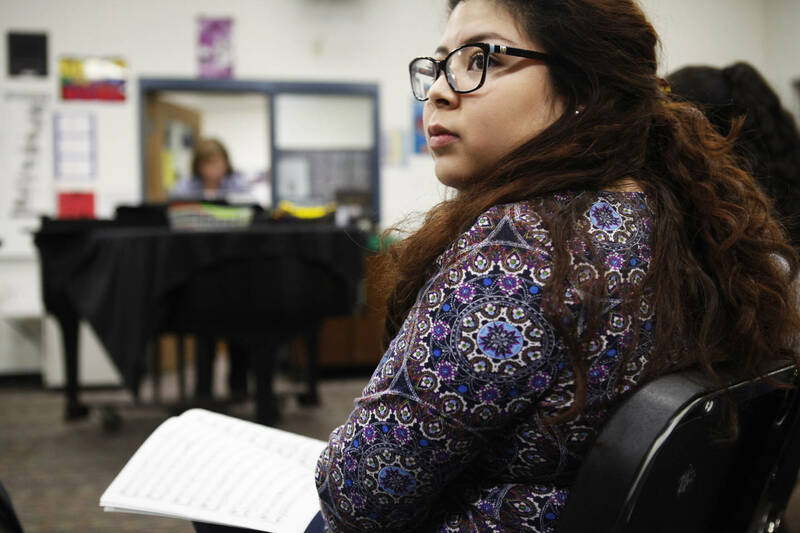 "Now that I'm older," says Alejandra, "I realize that being bilingual is very, very important. That in combination with being gifted, it's like so many doors have opened." At North Canyon High, those doors have opened wide. Alejandra has excelled in just about every college-level course she has taken. 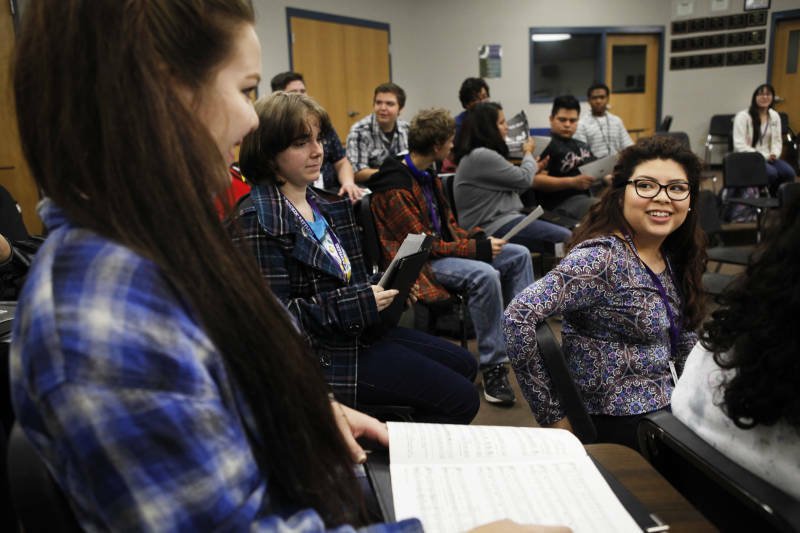 Her academic success has motivated her to fine-tune her other gift, singing. She's a section leader on the school choir. With graduation right around the corner, Alejandra has set her sights on college and a career in international studies, maybe doing humanitarian work. It's not clear how many Alejandras there are out there. Arizona has identified more than 80,000 gifted students statewide, but that number is not broken down by race or ethnicity. It's also impossible to know how many gifted ELLs are never identified and tested. Nationally, 32 states, including Arizona, mandate gifted education, according to the National Association For Gifted Children. Only four fully fund gifted programs, the organization says in this report. Few, if any, require that ELLs be tested. That's a problem says Chester Finn, a former U.S. assistant secretary of education and author of the recent book, Failing Our Brightest Kids. "An awful lot of Latino kids are arriving with parents who are undocumented. They really do depend on schools to help them," says Finn. "[But] we're losing talent of kids from poorly educated parents who don't know their way around the American system." Finn says schools must do more to reach out to non-English-speaking parents, and to train teachers to be more like talent scouts. Then, he adds, schools must give gifted ELLs as much academic enrichment as they can handle. No argument there, says Peter Laing. He oversees gifted education for Arizona's Department of Public Instruction. Arizona currently does not provide any funding for gifted education. Laing says what little money gifted kids get has to come from local school districts. He says that, with the ELL population growing so fast in Arizona, educators and policymakers need to better serve those students, especially the brightest among them: "This is a moral, ethical obligation on the part of schools."